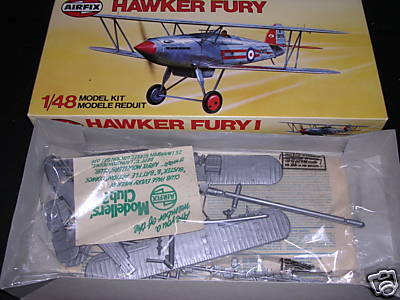 All the nostalgia and romanticism of the thirties biplane era are captured in this fine model of the famous Fury fighter. Equipping the RAF's elite air defence squadrons, the Fury marked the peak of pre-war fighter design prior to the arrival of the monoplane Hurricane. This kit is fully detailed with a miniature engine, cockpit interior and two sets of colourful markings. Wing span 189mm.